For the fourth consecutive year, DelSuites is the recipient of the Consumer Choice Award for Executive Suites Toronto. “We are extremely proud of this recognition and are determined to maintain our reputation for unparalleled services,” shares Elle Crane, Director of Sales. The Awards, which were presented at the CCA Award Ceremony held on Thursday May 17, 2012, recognize the outstanding level of service provided by companies across five industry sectors. 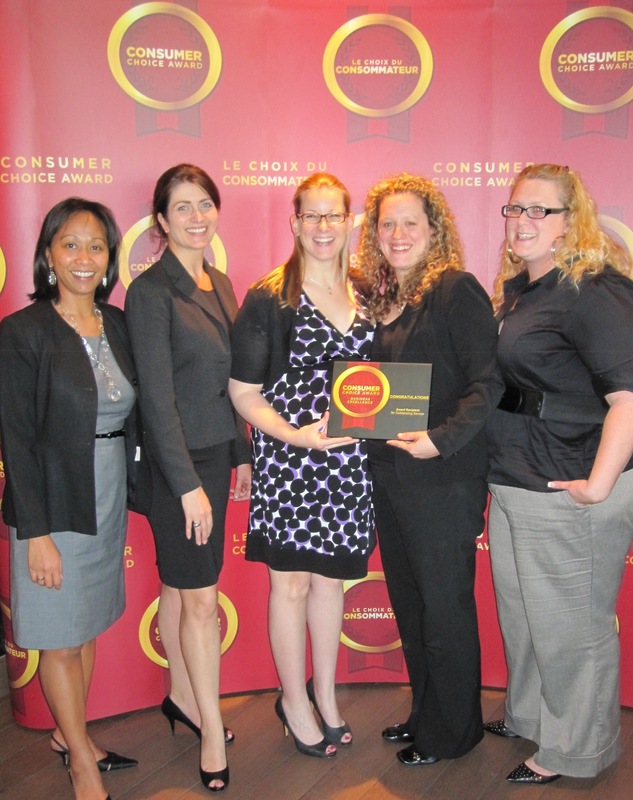 The Consumer Choice Award is not only a recognition of significant business achievement but by collecting the thoughts, opinions and perceptions of both businesses and consumers, also supports the value of the customer’s experience. We continue to offer an alternative to hotel living that provides many of the luxuries of home. As Crane explains, “this achievement demonstrates our commitment to consistently deliver the ultimate customer experience.” Receiving the Award not only signifies our dedication to business excellence, but also acknowledges the company’s efforts to earn the trust and respect of its customers. Exclusively offering the highly regarded Tridel brand condominiums to its “Fortune 500” clients, DelSuites has become one of the largest firms of their kind in the GTA. To receive the ultimate customer experience, book your stay in Toronto by visiting www.delsuites.com.